Politics have always been at the core of the conflict in the Star Wars Saga. Whether it's at the forefront of the story as we see in the Prequel Trilogy, or taking a backseat to military action as seen in the Original Trilogy, the entire story represents a galactic political struggle. The Force Awakens isn't entirely different in this respect, although the politics are only referred to briefly. Considering there is around 30 years of political development since the victory of the Rebel Alliance in the Battle of Endor at the end of Return of the Jedi, a little political background in the new Star Wars canon may help to explain what's up with politics in Star Wars: The Force Awakens. All information sourced from Star Wars: The Force Awakens movie, Star Wars: The Force Awakens novelization, by Alan Dean Foster, and Star Wars: The Force Awakens Visual Dictionary, by Pablo Hidalgo. After the Battle of Endor, the Rebel Alliance reformed itself as The New Republic, and continued its push against the Empire, eventually forcing them to make a last stand at Jakku, resulting in one of the Alliance's biggest victories in the Galactic Civil War. After this, the Empire agreed to sign the Galactic Concordance. A peace treaty that required the Empire to completely demilitarize. Mon Mothma, the first Chancellor of The New Republic, knowing the Galaxy has grown wary of a centralized government, removes Coruscant as the capital of the republic. Instead, the New Republic capital will regularly change locations as to prevent the concentration of power as had happened in the Old Republic, leading to the rise of the Empire. In a similar attempt to differentiate itself from both the Old Republic and the Empire, the New Republic also drastically scaled back it's military, keeping a loose defense force in place, but no standing army or navy. 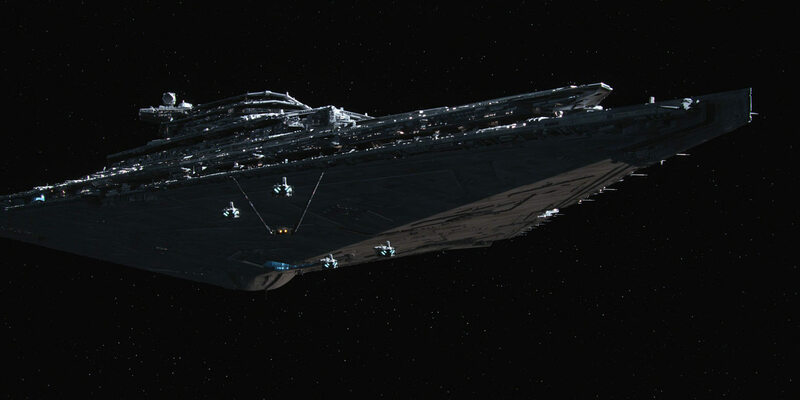 Having been completely beaten and de-clawed, the Empire retreated into the unknown regions of the galaxy, where it began to build again, eventually reforming as the First Order. All the former Imperial factories and academies have been seized by the New Republic as a part of the Galactic Concordance, so the First Order started again from scratch. Building new Star Destroyers from new factories deep in the unknown regions, the First Order uses many ships in its new fleet as mobile academies, training all its troops on the move to avoid alerting the New Republic of its defiance. Not one to be fooled, Princess Leia Organa wisens up to the activities of the First Order and urges the New Republic to once again grow its military and apply more scrutiny towards the rise of the First Order. Ironically, even though she is a hero of the Galactic Civil War, a former Old Republic senator, and Alderaanian royalty, she is labeled as a paranoid warmonger, and the new senate refuses to acquiesce to her pleas. Taking matters into her own hands, Leia calls upon many old allies of the Rebel Alliance, such as Admiral Ackbar and Major Ematt, and begins to recruit younger members who believe the pending danger of the First Order, including some who served in the New Republic Defense Force, such as Poe Dameron. Despite mustering up a respectable command of old Alliance leadership, occupying an old Rebel base on D'Qar, and recruiting enough pilots, mechanics, and other operatives to man the Resistance, Leia is unable to get any financial or political support from the New Republic, basically hamstringing the the Resistance force from reaching it's full capability. Without any accountability to the New Republic, the First Order creates Starkiller base, one of the largest known military constructions in history. Harnessing the power of dark matter, Starkiller base is able to destroy entire solar systems from across the galaxy. Feeling the pressure from the Resistance, and knowing the New Republic can only be fooled for so long, the First Order initiates the first major strikes against the New Republic, eliminating the entirety of the Hosnian system, including Hosnian Prime, the current seat of New Republic politics. 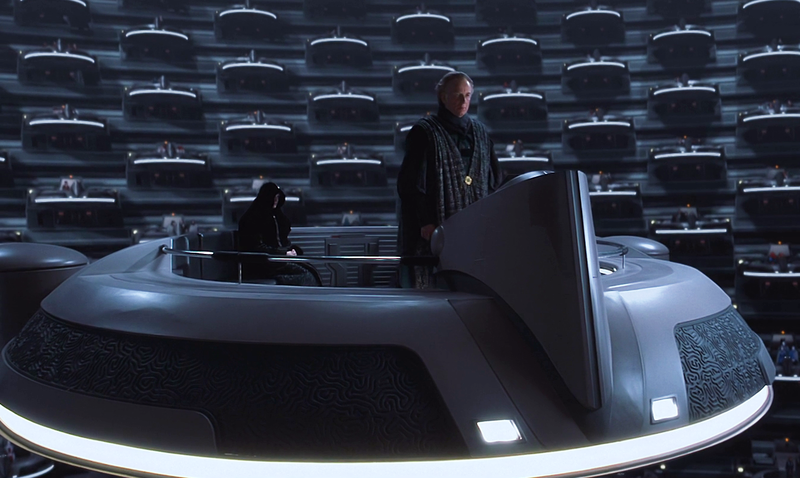 Although this strike doesn't destroy the New Republic in its entirety, it basically serves as a targeted assassination of the current Chancellor and most of the senate, sending the New Republic into chaos. The Resistance is able to launch an attack on Starkiller Base, successfully destroying the weapon (and the whole planet), but with an unknown number of First Order Star Destroyers in deployment, and the forces of the New Republic basically decimated, and the Resistance forces still in early establishment, the events of The Force Awakens represent an absolutely massive shift in power for the Galaxy. This means that Episode VIII will basically reset the Star Wars universe back another Galactic Civil War, except no one faction currently holds the galactic seat of power. We can likely expect to see the Resistance and remnants of the New Republic band together to scramble for control against a First Order that has begun to creep out from the shadows of the unknown regions. Wow. How do you even go about reviewing something like this? Star Wars has been more than a collection of movies for so long. It's almost not even fair to review it in the same way that you would another film, but I'm going to attempt to. This will be a complete non-spoiler non-canon-fact-checking fanboy review. That's coming soon. The biggest takeaway for The Force Awakens comes back to the many times J.J. Abrams has made a big deal about working with fellow writer Lawrance Kasdan to make every scene of The Force Awakens "delightful." He succeeded there. There was both good and bad in this movie for sure, but through it all, it was delightful. Off the top, Star Wars has never been a franchise particularly famous for its acting. There have definitely been some good moments throughout, but it's classically one of the weaker points of the franchise. Not so with The Force Awakens. Every role was performed near perfectly. 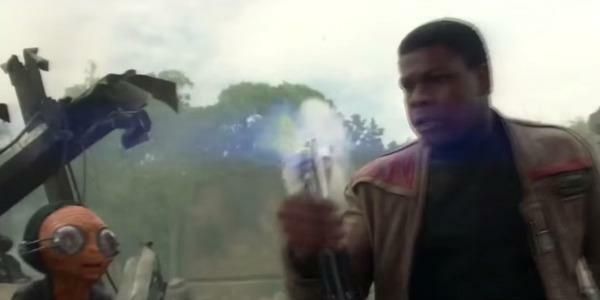 The new cast (John Boyega, Daisy Ridley, Oscar Isaac, and Adam Driver) especially stood out, and it will be a joy to continue to see them through the sequels, but the Original Trilogy cast (Harrison Ford, Carrie Fisher, and Mark Hamill) also probably cashed in some of their best performances of the franchise. The writing also had some good and some bad. Star Wars has always taken the most classic and basic of stories, and turned it into something epic. On that front, The Force Awakens was fairly simplistic in the overall plot. There just wasn't much going on. Sure, things were constantly happening on screen and propelling the cast from one situation to the next, but it felt like a lot of it didn't amount to much. There were times where you wanted to just pause it for a moment to take in what was happening. If anything, this movie had an overabundance if Abrams's "delightful" scenes. One or two could be cut (or significantly shortened) in order to let the audience breathe and let events sink in, but there was this drive to propel the plot forward constantly, making moments fel a little forced. Much of plot flowed more like a video game's progression of objectives than an epic story Star Wars fans are accustomed to. Having said that, there are plenty of epic (and delightful) moments. The emotion was real, and the humor was on point (although we would occasionally dwell too long on the latter and not enough on the former). The dialogue is punchy, and very effectively delivered by the entire cast. Even the non-human characters. Speaking of which, the puppetry, animatronics, CGI, and motion capture characters were all excellently handled. Seeing a return to physical puppets and sets was very impressive, although there were moments where it felt like the use of CGI was avoided too much. Audiences are definitely wary of the overuse of CGI, but it's also 2015. When Maz Kanata and Supreme Leader Snoke are done with flawless motion capture, and Admiral Akbar is still a puppet, it raises a couple question marks. For a series famous for character designs and special effects, The Force Awakens definitely hits it out of the park, though. All the locations, ships, and other designs are very impressive, and make me want to see them on screen more to get a better look. Then, of course, there's John Williams's music. There's not much bad anyone can ever say about John Williams, so I won't. His music is all beautiful, and brilliantly introduces new themes and ties in old themes. The story is told through music almost as much as it is on screen. The only issue with the music is that John Williams's story telling isn't always allowed to shine in moments where lingering on the music before moving on would have been beneficial. While that word "delightful" keeps coming up, and can (truly) be applied to nearly every moment of the film, it's often accompanied by another word: disposable. There are a few darlings here and there that just needed to be killed. They weren't, and as a result, many delightful moments feel disposable, and eat up screen time to sacrifice from the moments that shouldn't have that word associated in any way. If it wasn't for the fact that this movie is clearly a labor of love, that disposable feeling would have permeated the entire movie unmitigated. At the end of the day, The Force Awakens is a movie who's highs can be listed right up with the best moments of the rest of the saga, and its lows are few, far between, and cauterized as fast as possible. It's an absolutely delightful, film as promised. Flaws and all. 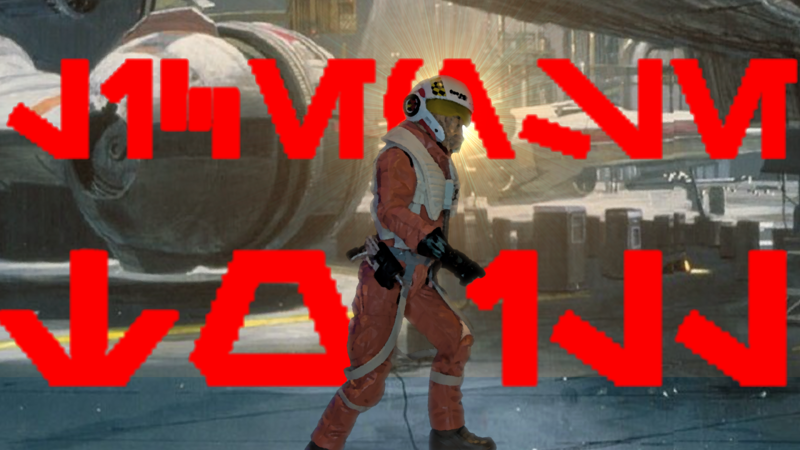 The Force Awakens is so close we can smell it. Just a few more days and we will have a whole new Star Wars movie to fight over. The marketing is in full swing, and much of it is starting to veer into what people are worried is spoiler territory, but we still hardly know anything about this movie. We know who the characters are, and a little bit about certain backstories and motivations, but that’s it. What we do know from the new canon comics and novels, various trailers, and cast interviews, though, we can piece together (without too much speculation) a reasonable idea of what’s going on with each character leading up to The Force Awakens. There are some spoilers for various books and comics, but no spoilers for The Force Awakens you couldn't get from the trailers. First we have the returning cast from the Original Trilogy. There is next to nothing explaining what happens to each of them after Return of the Jedi, but we have a couple snippets of information thanks to the book Star Wars: Aftermath and comic mini series Shattered Empire. Also, each character had a little bit going on behind the scenes during the Original Trilogy as is covered by some of the new canon material, and this could help to inform the goals for some of them following Return of the Jedi. 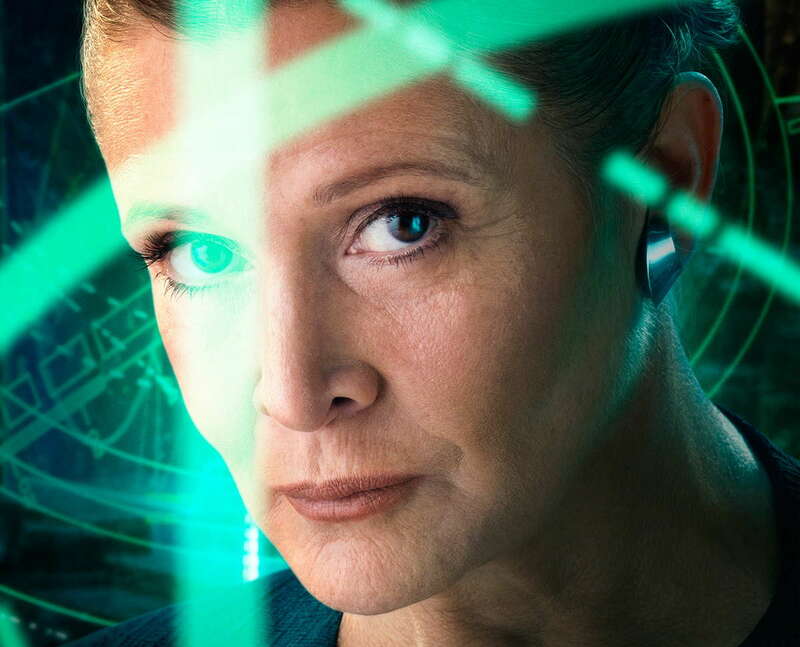 When we meet Leia in The Force Awakens, she is a General for The Resistance. What is The Resistance? Who knows. After The Battle of Endor, the Rebel Alliance began to demilitarize and form The New Republic. Whether the New Republic falls to The First Order (which appears to rise from the ashes of The Empire), The New Republic becomes corrupt and The Resistance came into play to combat The New Republic, or something completely different, we don’t know yet. That will be revealed in the movie. Shortly after A New Hope, Leia was involved with rounding up Alderaanian refugees, and helping to find a new home for them on the planet Espirion. Although Leia, being a princess, was the rightful ruler of the Aldaraanians, she had them elect a new leader, so she could return to the Alliance. Whether she still has any involvement with the Aldaraanian colony on Espirion 40 years later remains to be seen. Although Han became a General in the Rebel Alliance, his involvement was more out of circumstance than anything else. He’s not what most people would consider a career man. Although he remained active immediately after the Battle of Endor in taking down additional Imperial garrisons on Endor, and was sent out on scouting missions shortly after, it is eluded to that he abandoned his post to pursue an time sensitive opportunity to liberate the planet of the Wookiees, Kashyyyk, from The Empire. The events of this decision have yet to play out, but who knows how it could affect his relationship to The Alliance and Leia. It is several decades before The Force Awakens, so it could have minimal impact. We do know that Han and Chewie are still together, still own The Falcon, and still get unwanted attention at bars. So it’s entirely possible that not much has really changed. 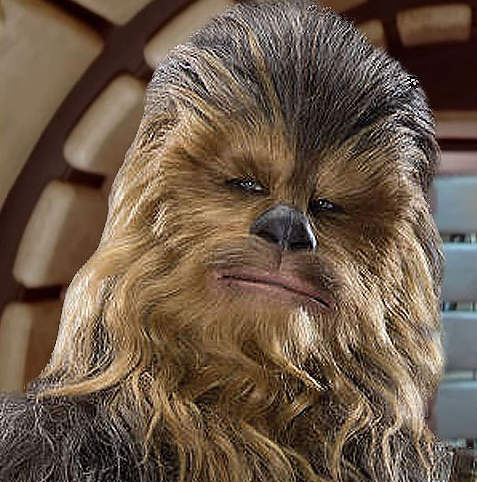 During the Original Trilogy, Chewie is around 200 years old, and one of only a handful of liberated Wookiees in the entire galaxy. 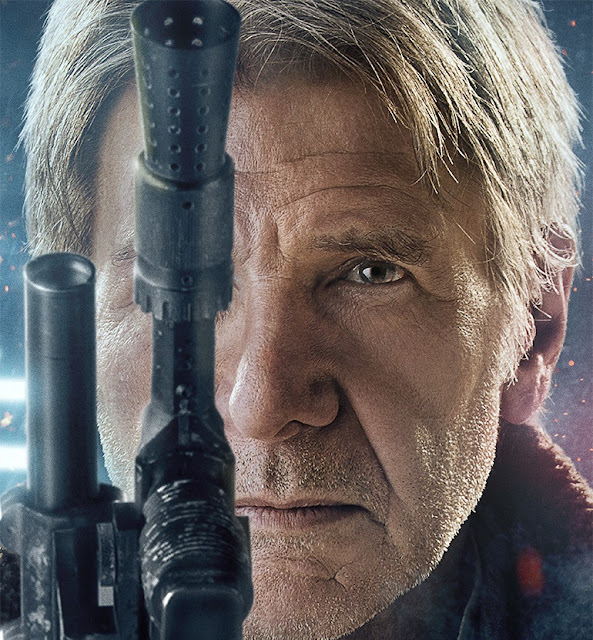 He’s basically always at Han’s side, so he doesn’t have much else going on. Here’s the one everyone wants to know. Next to nothing is known about Luke after Return of the Jedi. During the original trilogy, while he was trying to learn (with minimal guidance) how to become a Jedi, he discovered several Jedi temples and quite a few Jedi artifacts. It stands to reason that he would continue that quest after defeating The Emperor. It is confirmed that he returned to the Jedi Temple of Eadit, but whether that was to simply gather artifacts, or to start a complete rebuild of the Jedi Order remains to be seen. The brief glimpse of Luke that we get post Return of the Jedi has him going to one of Sheev Palpatine’s secret stations, where he recovers two saplings that came from the tree that used to grow at the Jedi Temple on Coruscant. He gives one of these trees to the Dameron’s on Yavin IV, but keeps the other. Where that second tree goes is as yet unknown, but the odds are he takes it to wherever he intends to found a new Jedi Order. You can read more about Luke's story in the Marvel Star Wars ongoing comic, Journey to The Force Awakens: Weapon of a Jedi, Heir to the Jedi, and the Marvel mini-series Shattered Empire. He’s Luke’s droid, so he’s spent the time with Luke. That probably isn’t very useful information, is it? 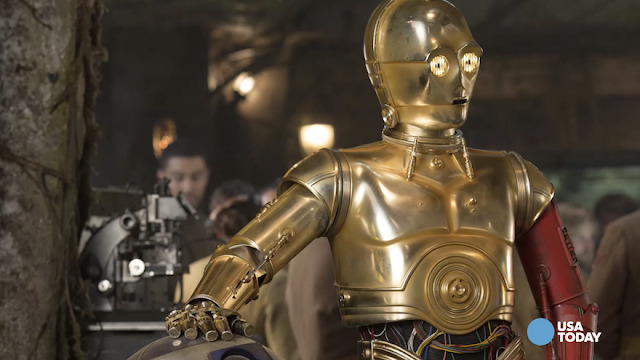 C-3PO tends to mostly hang around Leia or do busy work, but images of him with a red arm, showing that something has in fact changed. It could be completely innocuous, or not. There is a comic book coming out in January that is supposed to explain that, so apparently there’s at least a few pages of story there. 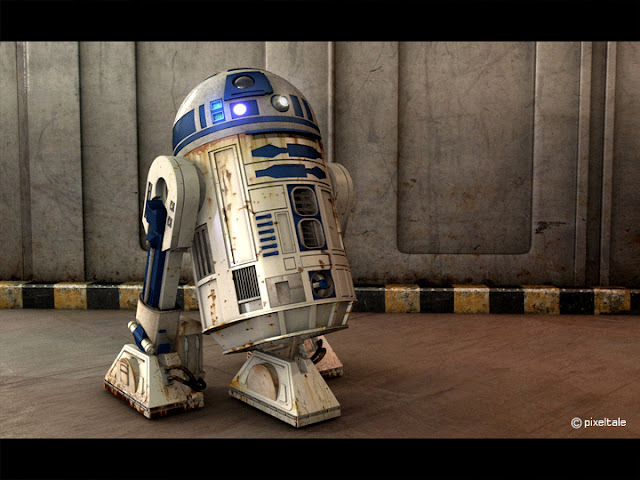 He also returned to the Temple of Eadit with Luke and R2-D2 after Return of the Jedi. This could be huge, or irrelivant. It basically hinges on what Luke did when he returned to Eadit. Honestly, Akbar is only on this list because we glimpse him in a trailer. Who knows what that dude’s been up to. 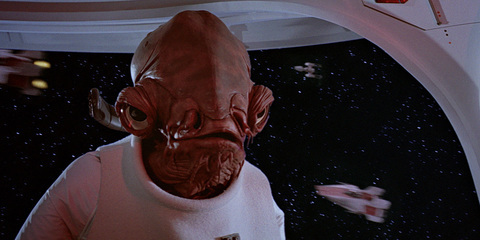 If you want to know more about Akbar, just remember "It's a trap!" Outside of the main cast, we have quite a few newcomers. We know a little more about some than we do about others, but there has been some interesting details released that could inform several of these characters. 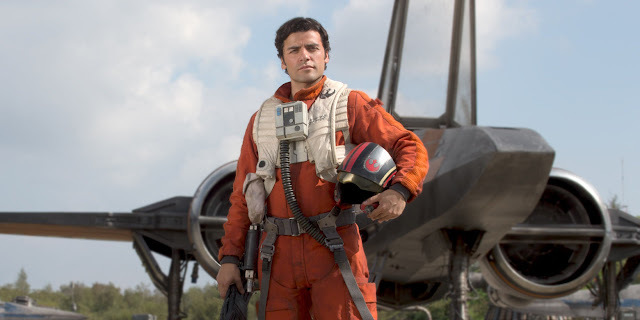 Poe Dameron is a resistance pilot. We know that his parents were both heavily involved in the Rebel Alliance, and both fought at the Battle of Endor. Wanting to settle down and raise their son (Poe) after years on the front lines, both are discharged, and settle on Yavin IV, where Luke Skywalker entrusts them with one of the Jedi Temple saplings. Whether growing up near a tree with a force presence has any effect on Poe remains to be seen, but the family clearly has close ties to the characters in the original trilogy. 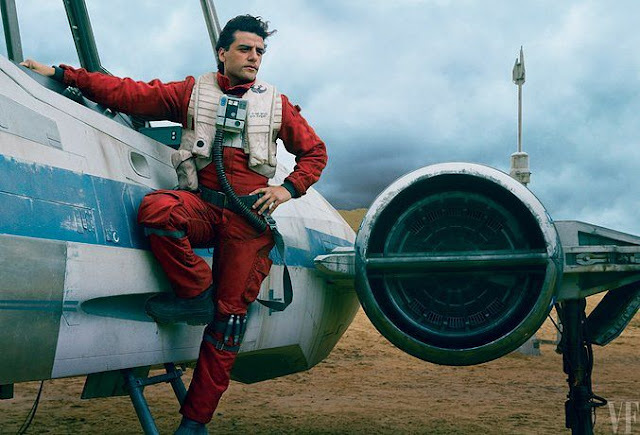 In The Force Awakens, Poe is a grown man, and a crack pilot. He is also the owner of BB-8. It appears that he gets captured and tortured by Kylo Ren, and BB-8 finds Rey to recruit her to the cause, possibly mirroring the arcs of Princess Leia and R2-D2 from A New Hope. If you want to know more about Poe Dameron, read the Shattered Empire Marvel mini-series. Next to nothing is known about Rey. She’s a scavenger on the desert planet of Jakku, which was the site of one of the final major battles of the war between The Empire and the Rebel Alliance. That’s about it. Her last name has been kept under wraps deliberately. Whether that’s for spoilery reasons, or not is yet to be seen. 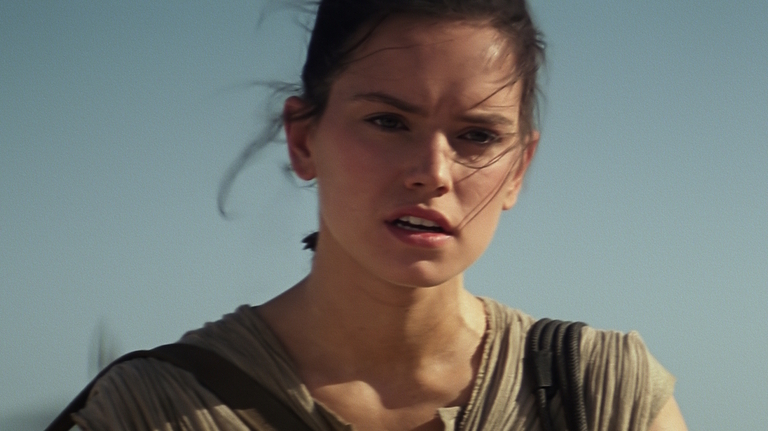 If you want to know more about Rey, you'll have to go see Star Wars: The Force Awakens. We also know very little about Finn. He is a stormtrooper at the star of The Force Awakens. He either goes AWOL, or gets separated from his command and meets up with Rey. Supposedly his last name is also being withheld. Who knows why. 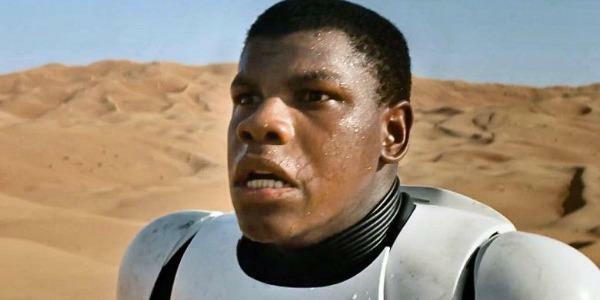 If you want to know more about Finn, you'll have to go see Star Wars: The Force Awakens. 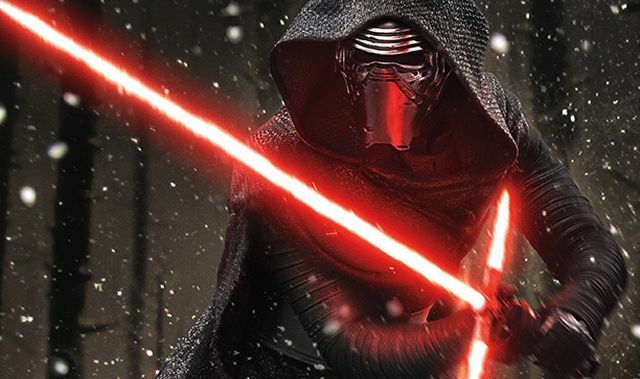 Kylo Ren is our new villain. His name is not actually Kylo Ren. He is a member of The Knights of Ren, and Kylo is the name he’s adopted (similar to Sith lords with Maul, Vader, Palpatine, etc). He built a lightsaber that’s so unstable it needs to vent out the sides (giving the appearance of a crossguard), is trained in some form of The Force, and he idolizes Darth Vader (but he’s not a Sith). The Knights of Ren may have a loose connection to The Inquisitors, Dark Side warriors used by The Emperor to hunt down remaining Jedi Knights and capture Force sensitive children. There could also be some relation to the Acolytes of the Beyond, a vader worshipping cult that popped up shortly after the events of Return of the Jedi. If you want to know more about Kylo Ren, read Star Wars: Aftermath. 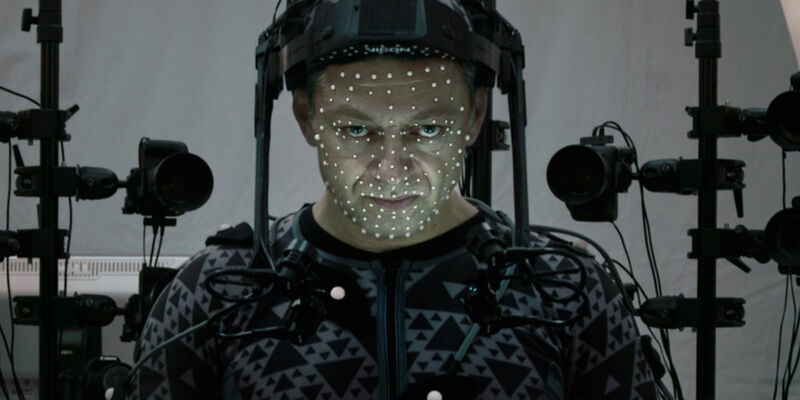 Snoke is another character shrouded in mystery. There has not even been an official image of him yet. He is the Supreme Leader of the First Order, and appears to have some affinity for The Force. Kylo Ren works under him, but whether he’s at the head of the Knights of Ren, or if he just has a relationship with Kylo isn’t clear. Snoke is a large and very powerful alien without any major ties to the events of the Galactic Civil war, although he is definitely very aware of many of the events surrounding it (possibly in the same way that Kylo Ren is obsessed with Darth Vader). If you want to know more about Supreme Leader Snoke, read Star Wars: Aftermath. She wears chrome Stormtrooper armor and is a part of The First Order. Phasma has drawn a lot of comparisons to Boba Fett, and not just because of the armor, but also to the way she affects the story. While she might not be a central character driving the plot forward, her presence definitely helps shape events. Going with the Boba Fett comparisons, though, don’t be surprised if the details of this character are still a mystery, even after the movie is out. 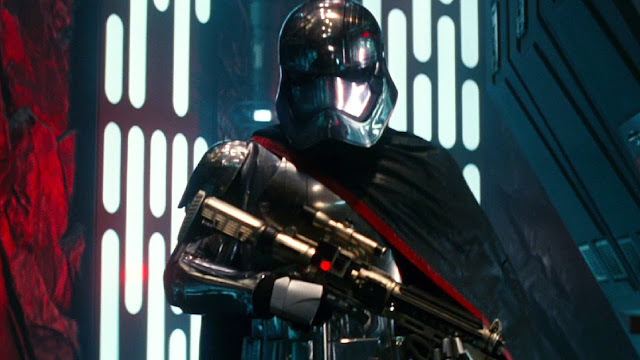 If you want to know more about Captain Phasma, you'll have to go see Star Wars: The Force Awakens. 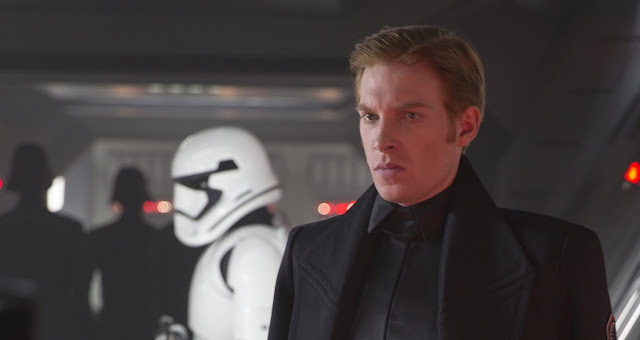 Hux is a straight lined General for The First Order, and is the ruthless commander of Starkiller Base, The First Order’s powerful new superweapon. The General appears to serve as a sort of foil to Kylo Ren, where Kylo Ren gets his power from his rage, Hux gets his power from order. He appears to be playing a very similar role as Grand Moff Tarkin in A New Hope, albeit a few decades younger. If you want to know more about General Hux, you'll have to go see Star Wars: The Force Awakens. Considering an astromech droid of similar design has never been seen in any Star Wars canon materials, it’ll definitely be interesting to see what makes this model different. 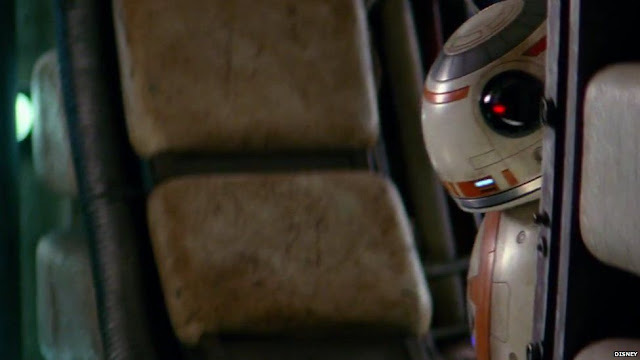 BB-8 is the property of Poe Dameron, and serves as Dameron’s copilot/naviagtor/engineer. The two get separated, and BB-8 meets up with Rey and Finn, probably serving as their connection to the events of the movie. What would Star Wars be without secondary character with huge backstories? The Force Awakens definitely checks this box. We may actually know more about many of the minor characters than we do about the new leads. A pirate on the wrong side of 1,000 years old, Maz Kanata has seen a few things. At the time of The Force Awakens, she has a castle on the planet Takodana, where she hosts a number of disreputable species. Having been around for several centruries, Maz is apparently well versed in The Force, but not a Jedi. She may have crossed path’s with Yoda a time or two. She may have special powers related to her eyes, which are usually covered with goggles. If you want to know more about Maz Kanata, you'll have to go see Star Wars: The Force Awakens. 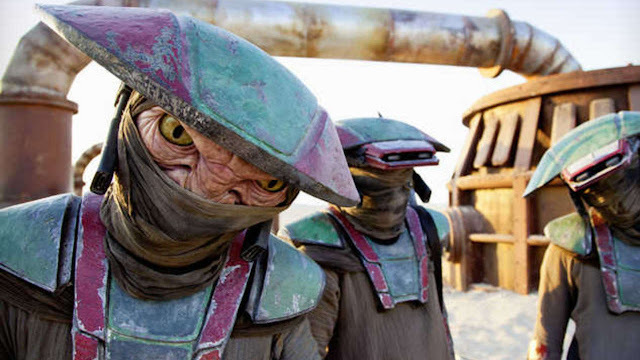 Zuvio is the constable of Niima Outpost, a small settlement on Jakku. Basically serving as sheriff of a small wild west town, Zuvio gets his share of action. He recently foiled a bank robbery, where a banking official tried to pull an inside job, and pin it on a group of malfunctioning droids. Zuvio is a Kyuzo, and hails from the gravity intense planet of Phatrong, which causes him to be faster and stronger than most inhabitants of planets with normal gravity, like Jakku. If you want to know more about Constable Zuvio, read High Noon on Jakku. Also known as The Crimson Corsair, Sidon was a notorious pirate, who led his crew to recover a lost trade federation ship formerly belonging to Count Dooku. Although there was no literal treasure aboard, Sidon did find an Old Republic Clone, CT-6116, AKA Kix, who had been put into Stasis after discovering the latent chip that would trigger the clones to execute Order 66. Along with the clone, Ithano discovers the location of all the secret Seperatist droid and weapons factories, potentially presenting a fortune to be made. Kix joins The Crimson Corsair’s crew and lends his special familiarity with the Separatists to the cause. Needless to say, Sidon Ithano probably knows a lot about The Clone Wars, the clones, Order 66, and other significant events of the prequels, although it’s doubtful any of that (or even Sidon himself) will have any bearing on the plot of The Force Awakens. If you want to know more about Sidon Ithano, the Crimson Corsair, read The Crimson Corsair and the lost treasure of Count Dooku. Sarco Plank is a shady character that makes a living tracking down and retrieving valuables for his various clientele. 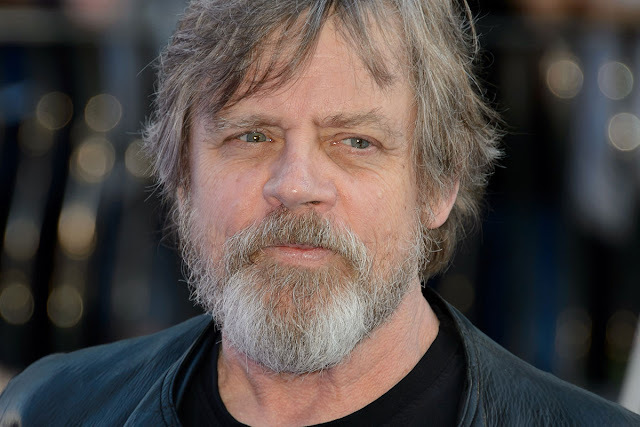 He runs into Luke Skywalker on the planet Devaron shortly after the destruction of the first Death Star, and volunteers to help navigate him through the forest to the old Jedi Temple of Eadit. He tries to capitalize on the situation by turning on Luke, with plans to retrieve any treasure from the temple, but Luke defeats him and leaves him at the bottom of a pit. 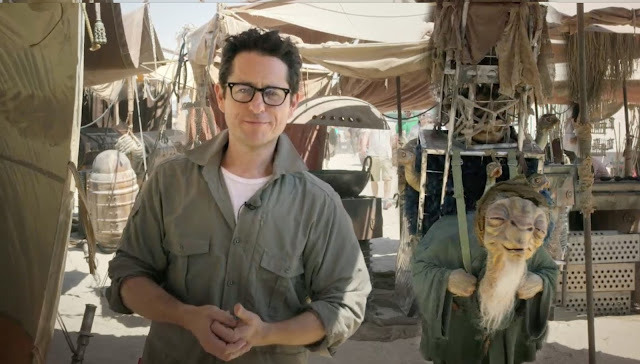 Sarco will show up in The Force Awakens, but who knows what he’s up to. Does he have a grudge to settle, or does he just happen to walk through the background of a scene? It’s doubtful his backstory will be relevant here, but he definitely has bad memories of Anakin Skywalker’s old lightsaber. If you want to know more about Sarco Plank, read Journey to The Force Awakens: Weapon of a Jedi. 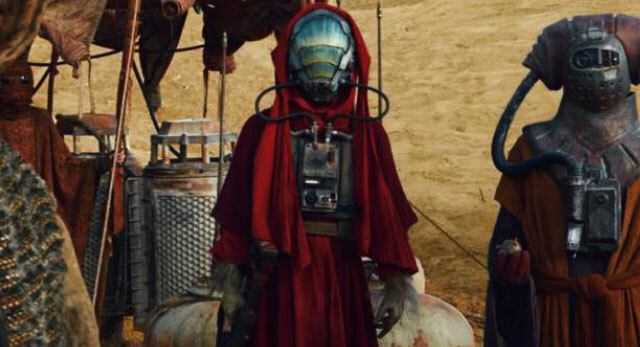 First seen in the Omaze video for Force for Change, Bobbajo is an old Nu-Cosian story teller on the planet Jakku. He carries many pets with him in various small cages, and is able to communicate with them and have them perform tasks for him. Although he appears to be a wizened old bard, he tells a story that conveniently places him on the Death Star during the events of A New Hope to a group of young villagers. Although the story is likely tall tale, he interestingly is able to provide several key details that the average person wouldn’t know without being a first hand witness, unless the story of the Millenium Falcon’s escape from the Death Star has since been widely publicised. If you want to know more about Bobbajo, read All Creatures Great and Small. Ello Asty is an Abednedo alien pilot for The Resistance. He is very talented, but known for making reckless and daring decisions. With a name inspired by the Beastie Boys, Ello also has the words “License to ‘ill” written on his helmet in Aurubesh. He may not get much screen time, but it sounds like he might be quite the punk. If you want to know more about Ello Asty, you'll have to go see Star Wars: The Force Awakens. The Sullustan copilot of The Millenium Falcon during the Battle of Endor, Nien Nunb has a long history with The Rebel Alliance, and now The Resistance, where he flies with Poe Dameron. Nien was a smuggler during the start of the Galactic Civil War, and also served as an influential force in assisting Princess Leia in finding a home for the refugees from Aldaraan. If you want to know more about Nien Nunb, read the Princess Leia Marvel mini-series and Journey to The Force Awakens: Moving Target. One of the best parts of Star Wars has always been the character designs, from main characters, to characters who only get a second or two of screen time. 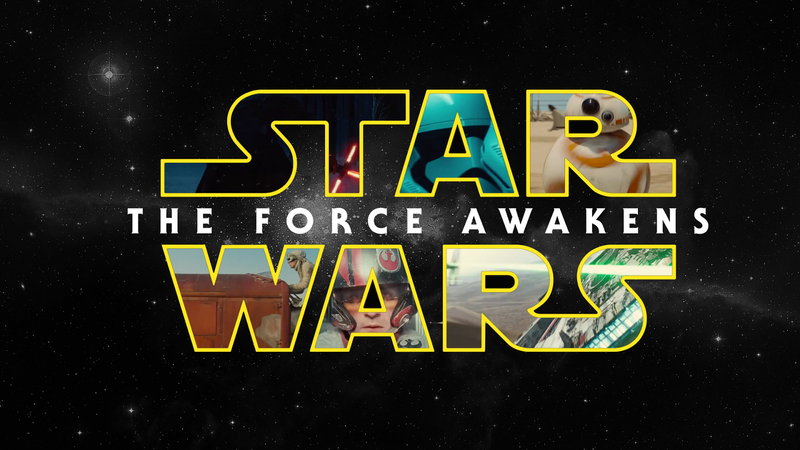 Everyone has a backstory, so hopefully this wets your appetite for what’s coming in The Force Awakens. Did I miss any? Are there any character’s you’re excited to see on screen? Well folks, it's here. People have seen The Force Awakens, confirming that it wasn't an elaborate troll by George Lucas to get back at the fans for prequel bashing. Although official reviews are embargoed until Wednesday, the premier attendees were not shy about expressing their thoughts via twitter. There are no spoilers in any of the below tweets, so check out the various press and celebrities to see their quick reactions. 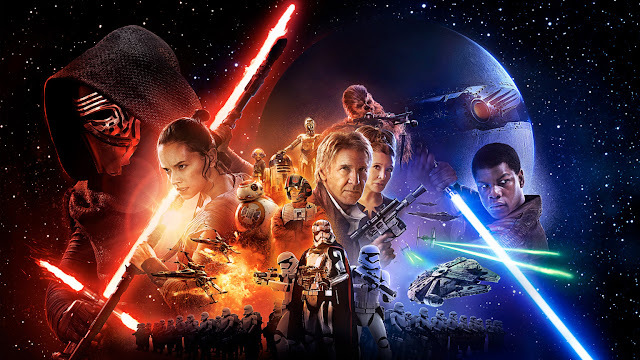 I have some more complicated thoughts on TFA, but will save them for the review. Some faults, but no doubt best Star Wars film since '83. Everything I could possibly say about #StarWars #TheForceAwakens is a spoiler, so I will say that it's super fun and beautifully shot! Just got the first #StarWarsForceAwakens review from Chris @Hardwick while exiting the theater... "It was ****ing incredible!" Of course, this wouldn't be a Star Wars article without a reference to the Prequels. The immediate reactions in 1999 may not have been all that different to what we're seeing here. Does the hype of the movie give everyone rose colored glasses? One thing's for sure, though. We'll all have an opinion in a few short days. 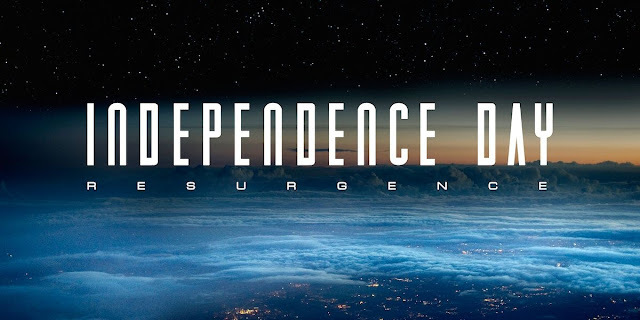 I hope you like sci-fi, because there's going to be a lot of it in the next few years, with Star Wars, Independence Day: Resurgence, Alien: Covenant (and Neil Blomkamp's Alien interquel/reboot). 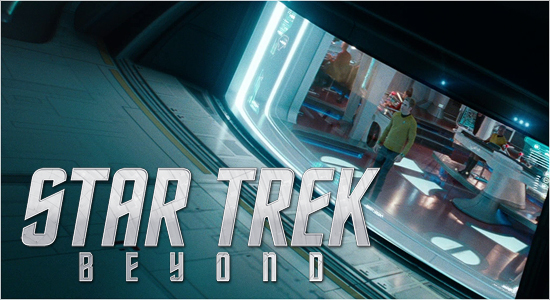 Now we have another Star Trek movie on the way, with Simon Pegg and Justin Lin inheriting the reigns from J.J. Abrams. The first full trailer is here. Check it out, and let me know your reaction! 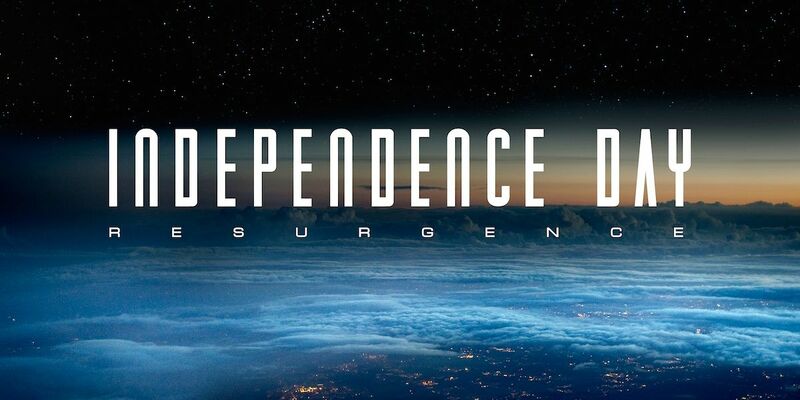 Independence Day: Resurgence may have flown under many people's radar, or concerned others as a weak Hollywood cash grab, but the new trailer will definitely put this sequel on the map in a good way. Although Will Smith is not returning, Bill Pullman and Jeff Goldblum definitely hold down the fort in bringing back the tone of the original in what appears to be a worthy successor. Check out the video below and let me know if your cold dead heart doesn't well up at Bill Pullman's voiceover speech from the original. 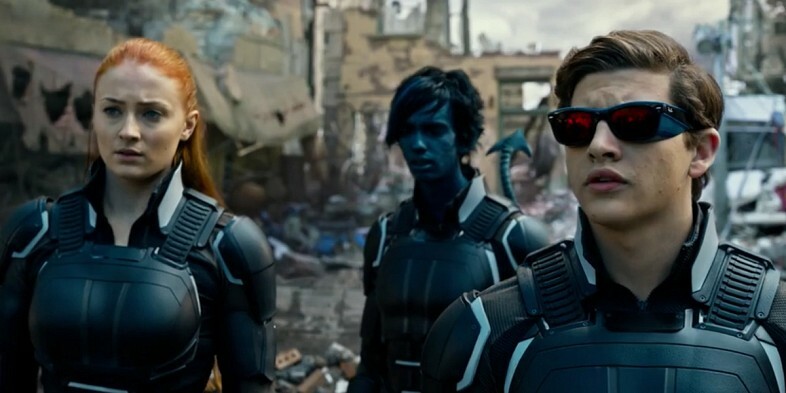 After the great success of X-Men: Days of Future Past, Fox decided to tackle another massive X-Men adaptation in X-Men: Apocalypse. Apocalypse will continue the retro timeline, but will continue introducing the characters from the original X-Men movie timeline, with young Jean Grey, Cyclops, Storm, and Nightcrawler. The first trailer shows that the stakes are definitely increased even beyond the time bending plot of Days of Future Past. Check out the trailer and let me know what you think!